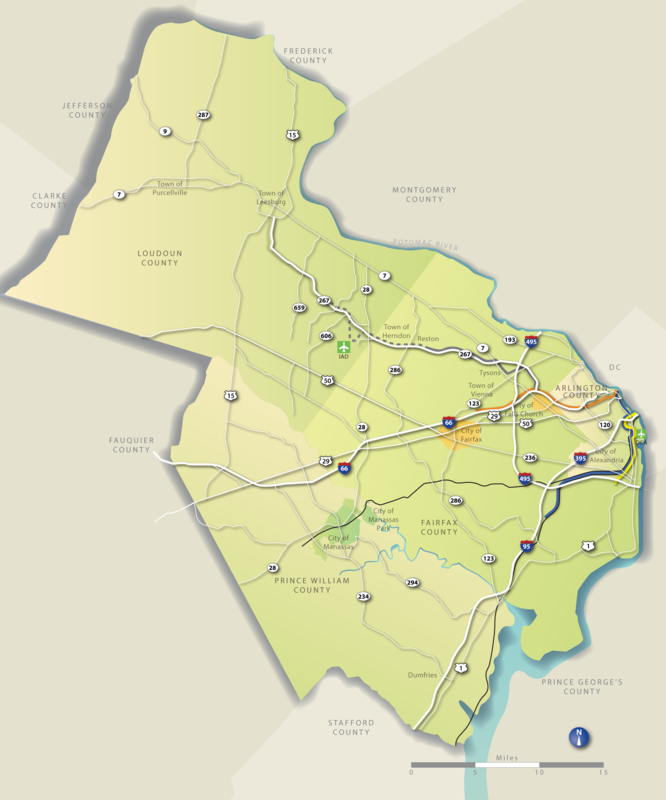 People choose to live and work in Northern Virginia because it offers employment opportunities, first-rate school systems, and a diverse mix of leisure, entertainment and cultural attractions. Attracting and retaining those people keeps the region prospering. The flip side, however, is that Northern Virginia experiences the worst traffic congestion in the Commonwealth. It is consistently ranked among the top five most congested regions in the US. Economic vitality in our region depends on an effective transportation network. So does delivering the quality of life that attracts and retains the highly qualified workforce that fuels the region’s growth. 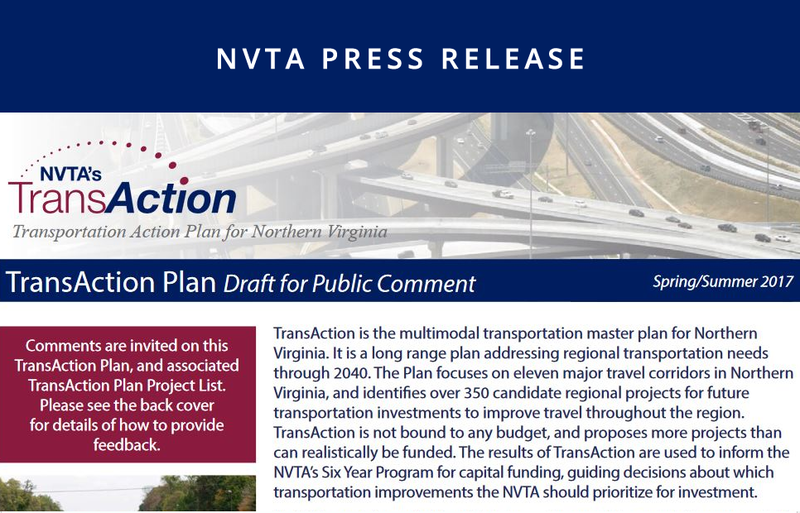 To improve conditions, the Northern Virginia Transportation Authority (NVTA), is developing and updating TransAction, the long-range transportation plan for Northern Virginia. 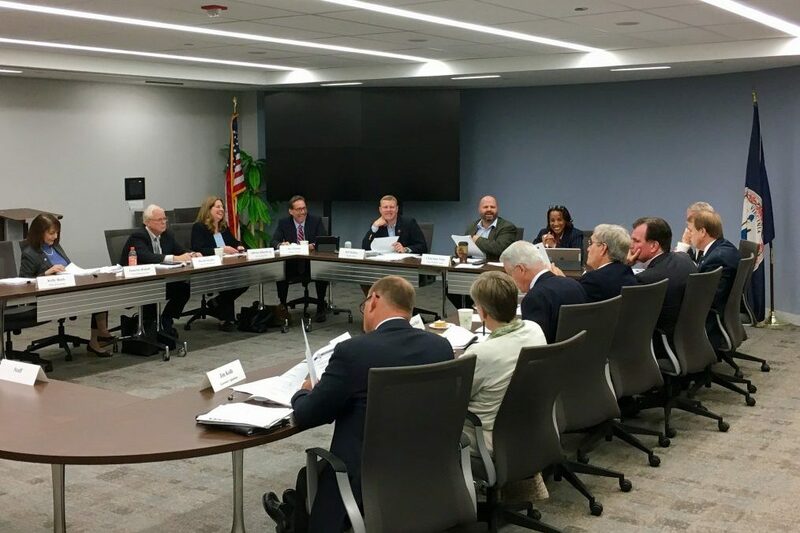 It has been the NVTA’s practice to update TransAction every five years in order to identify and prioritize regionally significant transportation improvements that can help reduce the effects of congestion throughout Northern Virginia. NVTA’s in-depth planning process is expected to take approximately two years to complete. This process identified more than 350 candidate regional projects to improve travel throughout the region, and includes the release of the Draft TransAction Plan in June 2017, followed by a public comment period and Public Hearing.